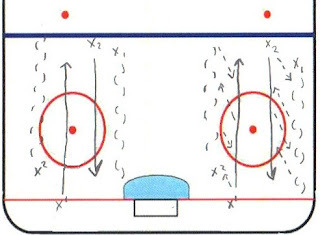 Left side of diagram just shows skating as a team. 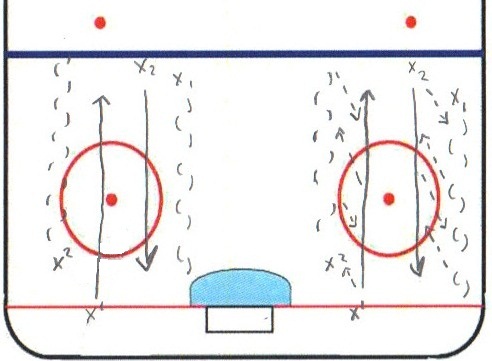 Right side has passing incorporated into the drill. 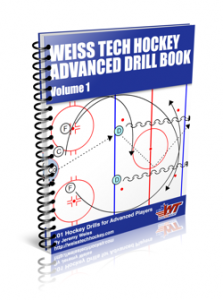 Depending on the skill level, you can decide where to start.